Special Savings for College Graduates!!! Nissan is now offering the Nissan College Grad Program. Available at Speedcraft Nissan, this program assists graduates by offering deep discounts on new vehicles with no hassel. Entering the program is easy, the models available are among Nissan’s most popular, and you get a new vehicle virtually immediately. Enrollees must also have current employment, or future employment set to begin within 90 days of approval. Finally, enrollees must have valid auto insurance and approved credit. Check all of these boxes? You’ll be on your way in a new vehicle thanks to the Nissan College Grad Program! 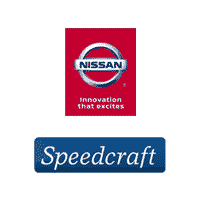 Speedcraft offers our full arsenal of new Nissan vehicles to the Nissan College Grad Program. Whether you’re looking for a crossover SUV such as the Rogue or Pathfinder, an efficient passenger model like the Sentra, Versa or LEAF, or a sedan like the Maxima or Altima, we’ll get you into the model of your choice in no time. Whatever your particular needs dictate, our team of terrific sales and financing professionals will be there every step of the way. Enroll in the Nissan College Grad Program Today! Contact Speedcraft Nissan to gather the details you’ll need to know about the Nissan College Grad Program. We’ll answer any questions you might have regarding eligible Nissan vehicles, explain the program, and allow you to enjoy “No Haggle, No Hassle” Friends & Family pricing on your new purchase.